You have come to the right place for - Tropical theme tableware. 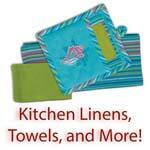 Bring some colorful serving, dining, and entertaining pieces to your kitchen, table, buffet and outdoor gathering! 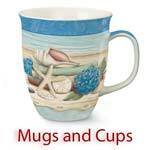 We have palm tree, tropical flowers, flamingo, and other themes on a variety of ceramic and Melamine pieces. 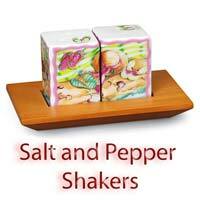 See our Salt & Pepper shakers, our Cheese Knife sets, we even have sink strainers. 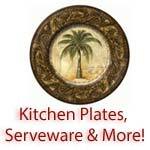 Of course we have tropical table mats, tropical dishes and glasses, tropical tumblers, tropical kitchen cutting boards. For fun we have FlipFlop serving bowls, it is a lot of fun to decorate with our tropical designs.